Housing is now closed. To reserve a room at the Hilton Alexandria Old Town, please contact the hotel directly. Caveat: There is construction in the area around the hotel, but it is not impacting the Metro Station. All Metro lines are open and service is running at full capacity. Took place on Wednesday, March 13th at 2 PM ET. If you have been participating in the conference for a few years and are willing to share your knowledge and experience, please consider volunteering to mentor to a new attendee. New members requesting assistance and potential mentors — contact Angela Beehler via email angela@mosquitocontrol.org or call 509-967-2414 to be paired up today! 2019 Position papers will be available soon! RECIPIENTS WILL BE NOTIFIED NO LATER THAN APRIL 2, 2019. The final determination of which applicants receive the Central Life Sciences Fellowships is made by the AMCA Washington Conference Chair in conference with the AMCA Legislative and Regulatory Committee Chair. In addition to the criteria above, special consideration is made for members from states or Congressional districts that have Senators or Representatives holding key committee positions affecting our mosquito control issues. If the pool of travel funds permits, AMCA may also provide limited support to members who have attended in the past but now face budget restrictions that prevent them from attending on their own. Airfare: We reimburse the cost (full or partial) of roundtrip coach-class airfare from your home airport to the Washington, DC area (Dulles, Reagan, or BWI). Airport parking: If you must leave a vehicle at your home airport, AMCA will reimburse up to $10.00/day, up to a maximum of $40.00 for 4 days. Driving: If you drive to Washington, DC from your home city/town, AMCA will reimburse you at the rate of $.545/mile (gas receipts are not reimbursed in addition to mileage reimbursement). 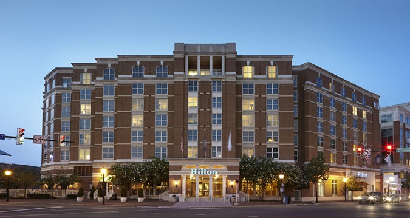 Hotel: The AMCA group rate at the Hilton Alexandria Old Town Hotel is $251/night (plus applicable city, state and local taxes). You must make your own hotel reservation and travel arrangements. After the meeting, you will send all receipts and your reimbursement request form to AMCA Headquarters. Maximum reimbursement is $1,000; therefore some expenses may only be reimbursed in part, depending on your total expenses. Thank you to Central Life Sciences for graciously sponsoring these travel stipends. Sponsorship is still available! Contact amca@mosquito.org for details!